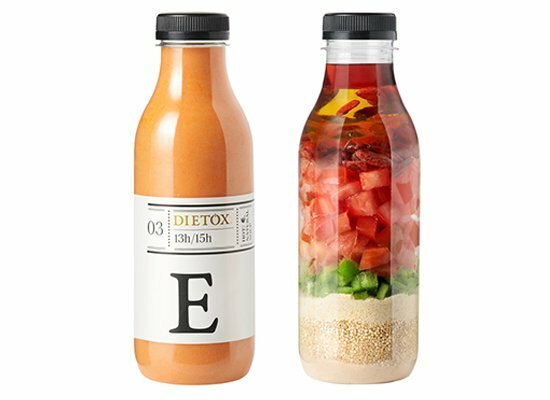 Cleanse your body and reach your goal weight with a detox comprising of 4 juices made from fresh fruit, vegetables, cereals, vegan protein and superfoods, combined with two vegetable cream soups with a satiating effect as your main meals. In total there are six 100% vegan recipes, which are all nutritionally complex and provide all your daily nutritional requirements recommended by the SENC, contributing just 1083 Kcal/day. 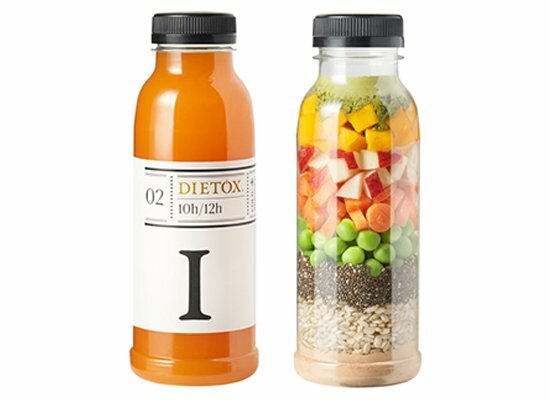 A day of Dietox therapy is a day of super nutrition, allowing your body to rest after a period of over-indulgence, as well as help you to kick-start your weight-loss routine and get you ready to start a new healthy lifestyle. Every season we reformulate the recipe of our Fresh therapy to bring it up to date with the latest studies on different foods and adapt the recipe to seasonal ingredients. For this summer we have prepared a very special edition for you, which stands out for its satiating effect and unique taste. With over 20 different ingredients, the Summer Edition 2019 is suitable for both men and women who are looking for a natural body cleanse without that constant hungry feeling. 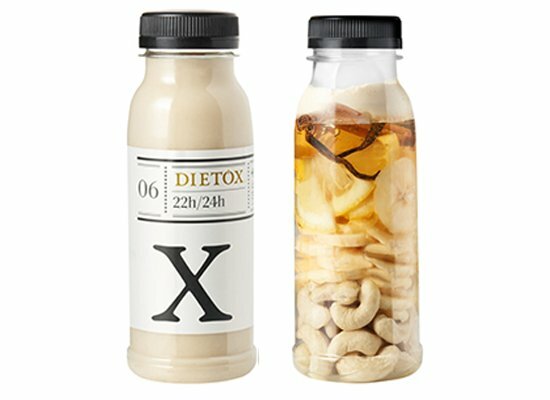 Made from authentic ingredients for an authentic flavour and an intense satiating effect, you can even split your therapy into two days* (2/3 of a bottle should be more than enough). Nutritional composition: it is still the most complete product on the market, made exclusively from vegetables, fruit, super foods and vegan protein & enhancers. 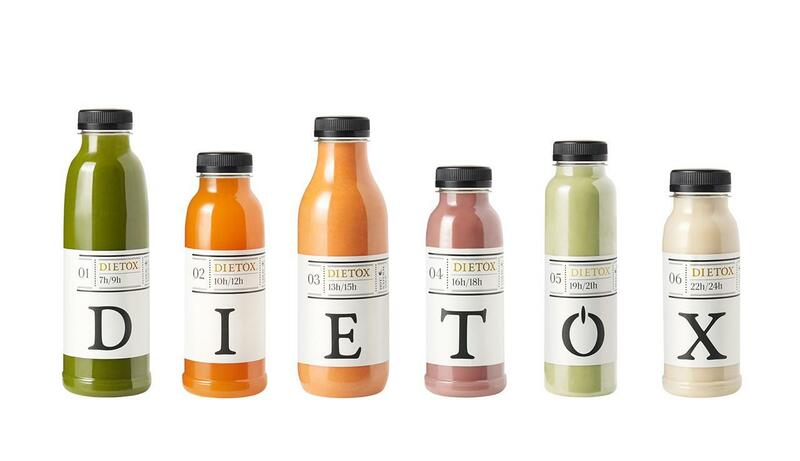 Sugars: Dietox helps you to consume less sugar (85.8g/day) than other juice brands (around 200g/day). This can help minimize common headaches caused by sugar rushes, strengthens your glycaemic balance throughout the day and helps reduce anxiety and sugar cravings. The sugar in your Fresh therapy is derived exclusively from fruit, with no other added sugars. 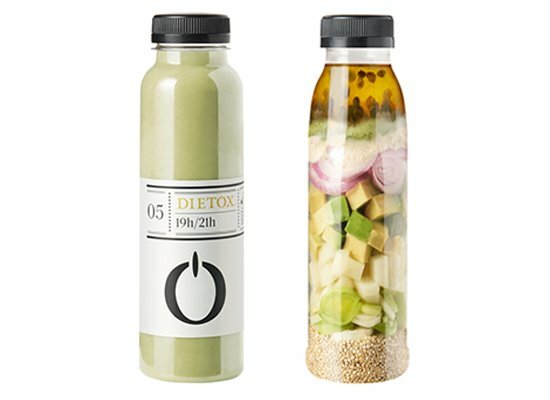 Variety and number of ingredients: with more vegetables than fruit, this summer edition is packed with fresh new ingredients and highly effective nutritional enhancers, such as turmeric, mango, eggfruit, blueberries, Baobab and Moringa, among other ingredients. Carbohydrates: in order to avoid the rebound effect, this diet is made from 50% carbohydrates. Fats: with an optimum fat content of 51.6g per day, 85% comes exclusively from mono-saturated and poly-saturated fats found in virgin olive oil, dried fruit and avocado. *If you don’t finish the bottle, make sure to store what’s left in the fridge and consume within two days of opening. Content: 2 x 500 ml. + 2 x 330 ml. + 2 x 250 ml. 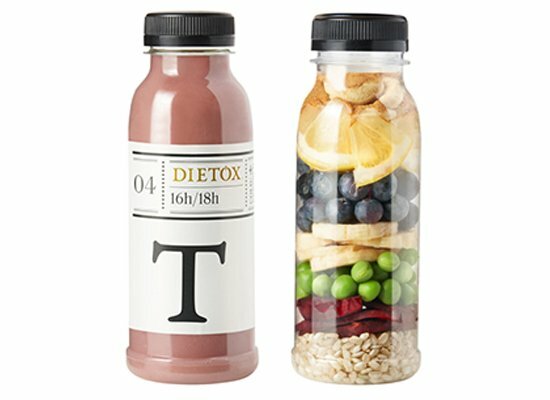 Your Dietox therapy will arrive fresh and ready to be consumed within 6-7 days from delivery. All juices are made using the cold pressed method and are conserved using high pressure processing to preserve all of their properties and nutrients. Weight loss and volume reduction, especially around your legs and belly, without the rebound effect. 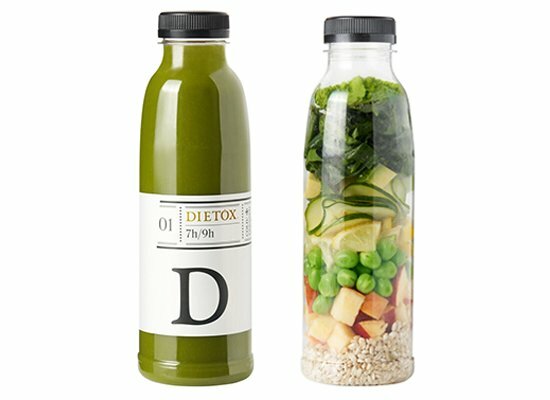 Detox effect: eliminates everything your body doesn't need and helps you achieve a natural cleanse. Improved digestion: cleansing fasts help the organs responsible for eliminating toxins from your body get a well-deserved rest, reducing stomach bloating, preventing water retention and aiding heavy digestions. Boosted energy: the intake of essential nutrients stimulates vitality and boosts your mood. Improved hydration: you will notice the effects on your skin and hair, which will shine like never before. Active, sharp and focused mind.